Louisa May Alcott Didn’t Need a Computer! Over the weekend, I stumbled upon a book containing all of the issues of The Writer Magazine from 1892 and 1893. No, that’s not a typo. The issues are from the 1890s. In the April 1892 issue, there’s an article written about Walt Whitman's passing, and the influence he had in Europe. In that same issue, there’s an announcement calling for the formation of The American Society of Authors, which happened the following month. To read the history of our profession not from those looking back, but from those who actually lived it has given me a sense of connection and community beyond any I’ve felt before. It’s also a lot of fun to see how writing was talked about and taught almost 120 years ago. In the June 1893 issue of The Writer there's an article on the “Methods of Authors: Favorite Habits of Work.” In other words, how writers write. It talks about whether an author writes in the daylight or at night, uses a skeleton (outline) or not, whether they depend on any stimulants, like coffee, tea, or tobacco, as well as several other considerations of the writing life that bind authors of the 19th and 21st centuries together. Among the authors profiled was Louisa May Alcott, who died five years before the article was written. Not only did she make do without a computer, but her most famous work, Little Women, was published two years before the first typewriter was sold commercially. It seems she did just fine without them. The method of Louisa May Alcott was a very simple one. She never had a study; and an old atlas on her knee was all the desk she cared for. Any pen, any paper, any ink, and any quiet place contented her. Years ago, when necessity drove her hard, she used to sit for fourteen hours at her work, doing about thirty pages a day, and scarcely tasting food until her daily task was done. She never copied. When the idea was in her head, it flowed into words faster than she could write them down, and she seldom altered a line. She had the wonderful power of carrying a dozen plots for months in her mind, thinking them over whenever she was in the mood, to be developed at the proper time. Sometimes she carried a plan thus for years. Often, in the dead of the night, she lay awake and planned whole chapters, word for word, and when daylight came she had only to write them down. She never composed in the evening. She maintained that work in the early hours gives morning freshness to both brain and pen, and that rest at night is a necessity for all who do brain work. She never used stimulants of any kind. She ate sparingly when writing, and only the simplest food, holding that one cannot preach temperance if one does not practice it. Miss Alcott affirmed that the quality of an author’s work depends much on his habits, and that sane, wholesome, happy, and wise books must come from clean lives, well-balanced minds, spiritual insight, and a desire to do good. Very few of the stories of the author of “Little Women” were written in Concord, her home. This peaceful, pleasant place, the fields of which are classic ground, utterly lacked inspiration for Miss Alcott. She called it “this dull town,” and when she had a story to write she went to Boston, where she shut herself up in a room, and emerged only when she could show a completed work. What are your writing methods? Do you prefer writing in the sunshine, or by artificial light? Do you use a lead pencil or a fountain pen? Do you create a skeleton first? 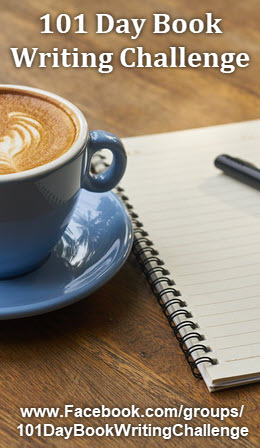 Do you use any stimulants to spur the creative process? Do you compose the sentences and stories to completion in your mind before committing them to paper, or let your ideas flow out as they may? It's comforting to know, that while technology has dramatically changed the instruments we write with, the writing process, in many ways, remains the same. 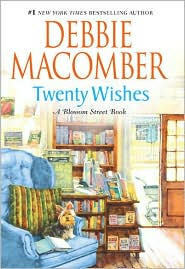 Debbie Macomber’s new book, Twenty Wishes, spawned an interesting book promotion contest. Although the entry deadline has passed, it serves as a good example of a compelling marketing campaign. I guess you were supposed to just pick a point of view and then go for it. Between the universal theme, the amazing graphics, and the $10,000, I’m sure this contest garnered them a lot of publicity, and web traffic, for Debbie Macomber's new book. Even now that the contest is over, the site is still a fabulous sales tool. It's fun, inspiring, and interactive--it helps us to focus on our greatest wish, then to enter it on their site to set it free, as well as allowing us to see and share other people's wishes (over 23,600 so far). How to Deflate the Dreaded "S" Word... SHOULD! Here are four tips that revolve around the dreaded "S" word--should. They all view the word (and the "less than" feeling that comes with it) from a slightly different angle. When you put them all together they form a powerful antidote to the negative effects of telling yourself that you "should" be doing something different, or differently, than you are. 1) Do You Use the "S" Word? Do you use the "s" word--should? If so, how do you use it, and how often? And how does it make you feel? Start paying attention and keeping track. Should is a slippery word, because it looks good on the outside. Yes, I should be writing more, and faster, and better, and differently. I want to. But should judges more than inspires. It beats you up. To say that you should be doing something else, is really saying that you shouldn't be doing what you're doing. It implies that you're somehow wrong, or bad, or not good enough. You need to keep a close eye on the "s" word. Start thinking about what you'd like to say to yourself, instead. 2) The Opposite of "Should" is "What Is"
The word should is a judgment about what you're doing, right now. It insists that you should be doing something else, or doing whatever you're doing differently. Should takes you away from being fully present, relaxed and open in the moment. And in doing so, it stifles your creativity. My writing should be edgier, or leaner, it should be more "this" or more "that"
Answer yourself back, "I am where I am, and it's the perfect place for me to be, right now. In fact, I SHOULD be doing exactly what I'm doing. How do I know? Because I'm doing it. When it's right for me to write or do something else, I'll be doing that." 3) The Journey From "Have to" to "Want To"
Often, when you feel you "should" or "have to" write something, such as when you're facing a deadline, it brings up resistance. You may take on the project, but your emotional response is, "But I don't want to," or, "Don't tell me what to do," even if the project was your idea and you're the one telling yourself to do it. When you feel any resistance to writing, or a particular project, simply recognize it and then let it go. One of the easiest ways to do this is to focus on the reasons why you WANT to write this piece. What will writing, or this particular project, give me? What do I want to give to my readers? How will I feel having finished it? Submitted it? Published it? Reaffirm that writing is a choice/desire/decision. Do whatever it takes to move from a feeling of "have to" to "want to." 4) What Are Your "Shoulds," and Can You Let Them Go? What are your "shoulds?" In your life? 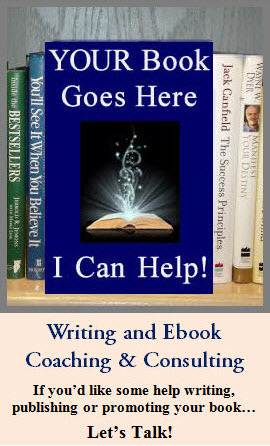 In your writing? Who would I be, and how would I feel without this should? Can I let it go? A "should" doesn't inspire or encourage you, on the contrary, it raises resistance and resentment. I'm not suggesting that you drop the thing you think you should do, only that you drop your sense of "should." If it's something that you want to do, bring yourself back to a sense of wanting to do it. Desire is in alignment with inspiration, should isn't. If it's something that you need to do, by all means do it… because it's important, not because you should. What are your "shoulds," and can you let them go?